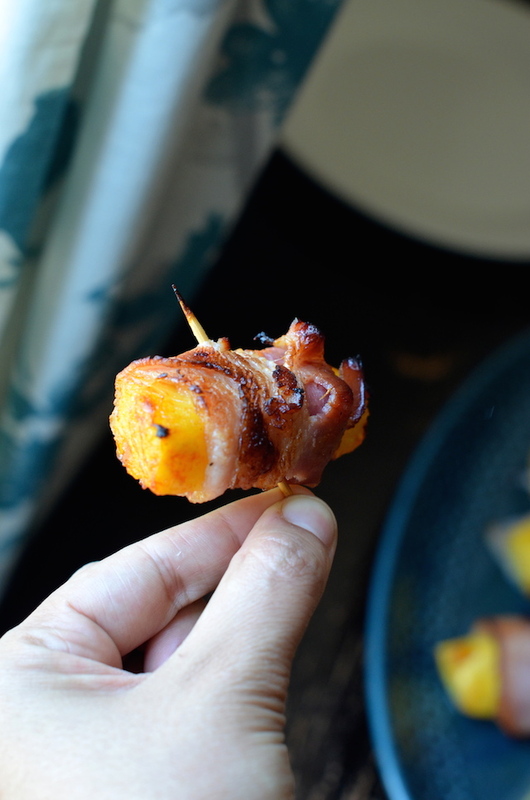 These spicy and sweet Bacon-Wrapped Habanero Pineapple Bites were one of the first appetizers to disappear at a recent party I hosted. 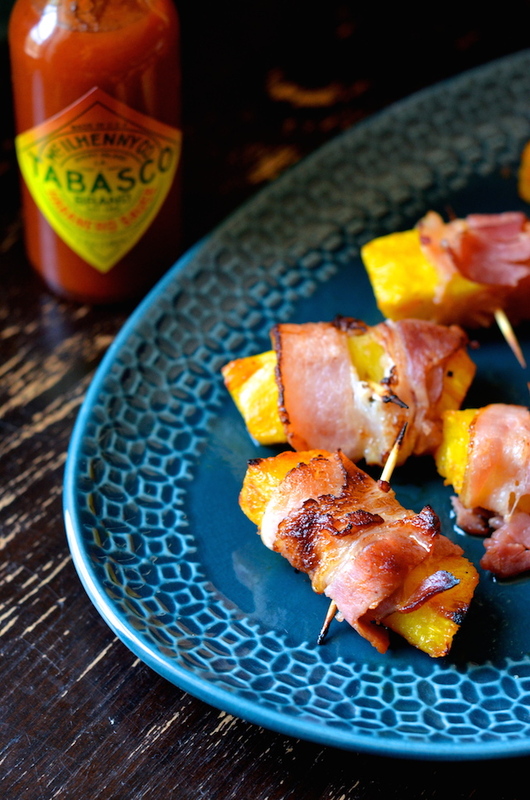 I mean...let's be honest...bacon-wrapped anything is generally a hit, but these are especially lovely because they hit so many great flavor notes all in one perfect mouthful. I was inspired to make this recipe as part of my ongoing collaboration with Tabasco. It features their Tabasco Habanero sauce, which is a tangy and fiery blend that's perfect for cooking. It's the spiciest of all their sauces (which I LOVE! ), and definitely packs powerful heat, but when paired with the sweetness from the pineapple and a touch of brown sugar and nutmeg, it balances out beautifully. My number one rule about party appetizers (apart from deliciousness!) is that they be simple to assemble and prepare. 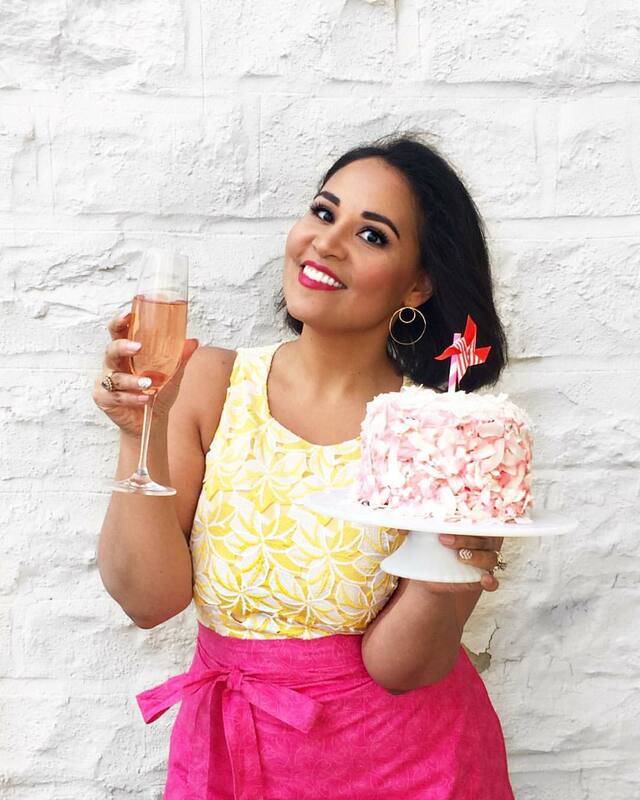 Anything overly fussy is too much when you're already managing multiple dishes and still want to enjoy the party yourself. These little guys come together in minutes and can even be assembled a full day in advance, then cooked right before serving. I usually wait until the first guest rings the bell to pop them under the broiler--10 minutes later and they're ready to serve! The only problem is that late arrivals usually end up missing out, but hey...that's why they say you snooze, you lose, right? Preheat broiler or oven to highest setting. 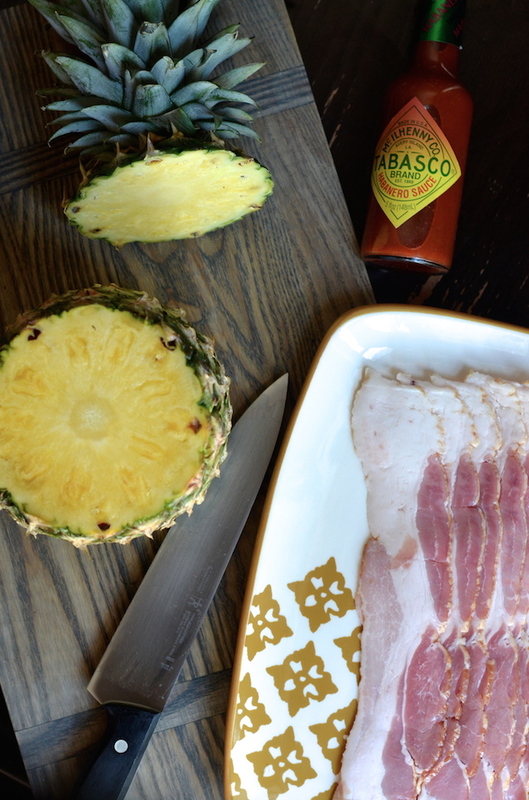 Combine pineapple pieces in a bowl with TABASCO Habanero Sauce, brown sugar, and nutmeg. Toss to coat and let marinate 5 minutes. 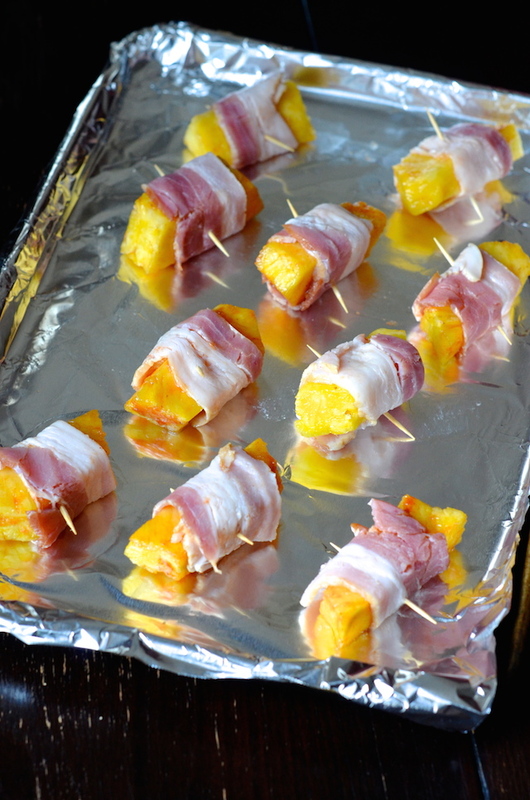 Place one strip of bacon flat on a service and starting from the end, roll up one piece of marinated pineapple. Skewer with a toothpick and lay on a foil-lined baking sheet. Repeat with rest of pineapple and bacon. Place under broiler for 5 minutes, then use tongs to turn and broil 5 more minutes. Broilers can vary, so keep an eye on yours to make sure it doesn't burn. Reduce cooking time, if necessary.